This issue’s cover is from Julia Donaldson and Axel Scheffler’s Monkey Puzzle. Written in rhyme, this agreeable story has butterfly helping little monkey to find his mum. Scheffler’s distinctive, entertaining and strongly characterised illustrations make good use of the page as little monkey meets lots of jungle inhabitants before being reunited with his mum. Thanks to Macmillan Children’s Books for their help in producing this July cover. The little girl and Charlie, her black cat, are best friends. 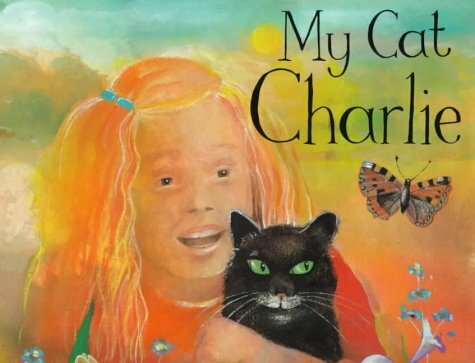 But now the family must move to a city, flat, and the little girl must leave Charlie with her cousins so that he will have a garden and other cats to play with. While she is sad, she soon makes new friends, and both she and Charlie benefit from the company of others of their kind. The vivid, impressionistic illustrations with details that stand out from the colour-washed background support the emotions expressed so well in the text. The little girl knows that Charlie will always be special and she copes well with her sense of loss. Outstanding.